This is the second edition of this advanced textbook written for scientists who require further training in femtosecond science. Four years after pub- cation of the ?rst edition, femtosecond science has overcome new challenges and new application ?elds have become mature. It is necessary to take into account these new developments. Two main topics merged during this period that support important scienti?c activities: attosecond pulses are now gen- ated in the X-UV spectral domain, and coherent control of chemical events is now possible by tailoring the shape of femtosecond pulses. To update this advanced textbook, it was necessary to introduce these ?elds; two new ch- ters are in this second edition: "Coherent Control in Atoms, Molecules, and Solids"(Chap.11)and"AttosecondPulses"(Chap.12)withwell-documented references. Some changes, addenda, and new references are introduced in the ?rst edition's ten original chapters to take into account new developments and updatethisadvancedtextbookwhichistheresultofascienti?cadventurethat started in 1991. 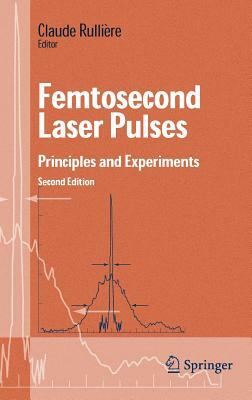 At that time, the French Ministry of Education decided that, in view of the growing importance of ultrashort laser pulses for the national scienti?c community, a Femtosecond Centre should be created in France and devoted to the further education of scientists who use femtosecond pulses as a research tool and who are not specialists in lasers or even in optics.